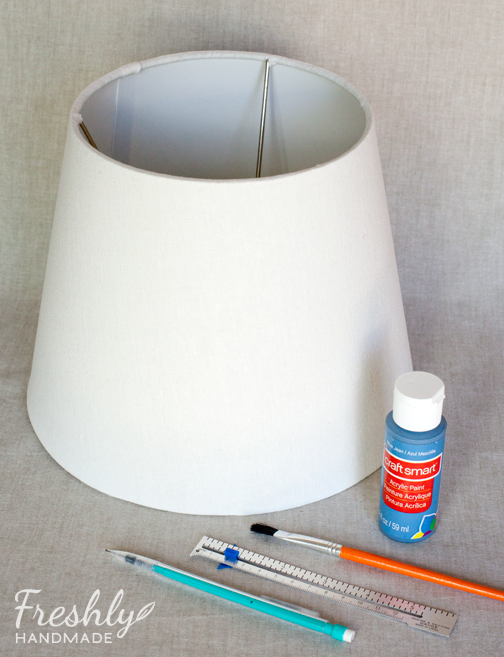 Today I am sharing a few ways you can create unique and inexpensive accessories with just a little paint and paper. 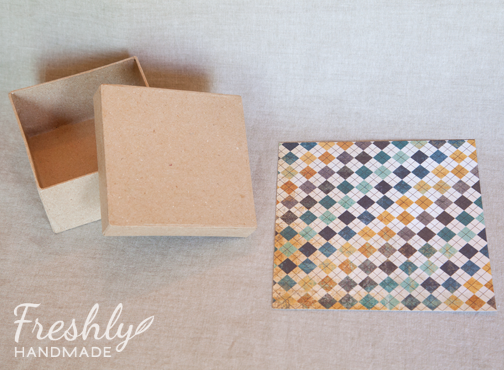 I made these items for the master bedroom spruce up project, but you could create these for any space. The dresser and bookshelf unit that we added to the room needed some lamps, so I stole a pair from my living room. The shades, however, were not going to work in the bedroom. I didn't want to spend a lot of money on new shades since I was just looking for something simple. 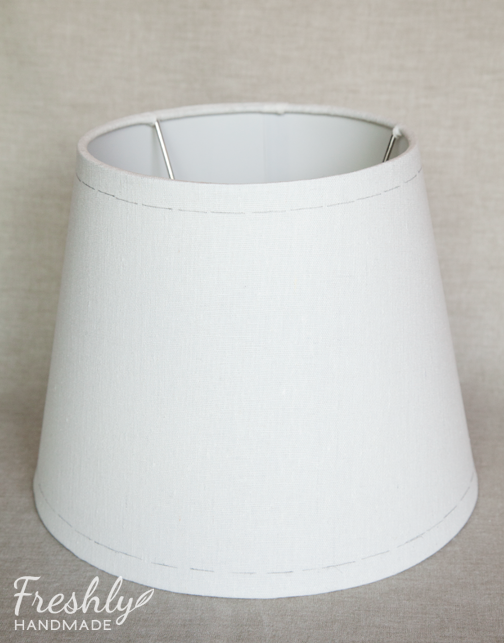 I found a pair of white linen lampshades on sale (BOGO!) and decided to add a little paint to get the simplistic look I wanted. 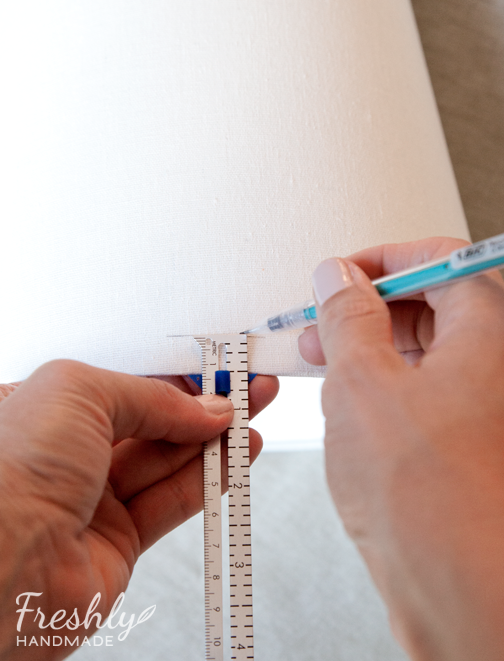 I used a measuring tool and a pencil to mark 1/2" around the entire top and bottom of the shade. Then I just used some craft paint and a brush to fill in the lines. Simple as that! You can achieve the same look with ribbon but it is more tricky to get the ribbon to lay flat with a tapered shade like this one. That is why I chose the paint route. If I had a perfectly straight drum shade, I probably would have opted for ribbon. 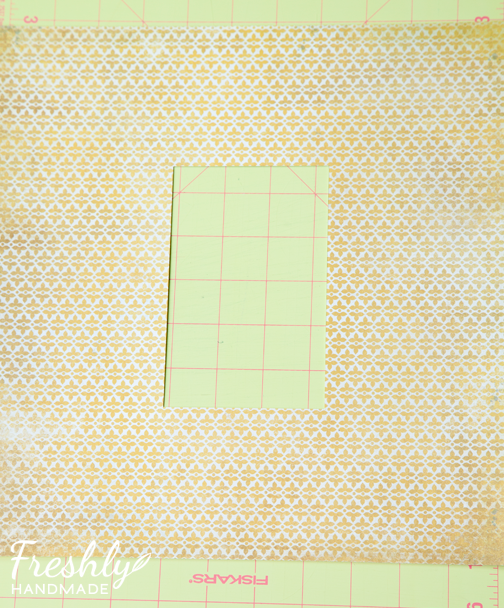 Another way to create unique accessories for your room is with decorative paper. Scrapbook paper and good quality wrapping paper come in so many different designs that it makes it easy to create something one of a kind. 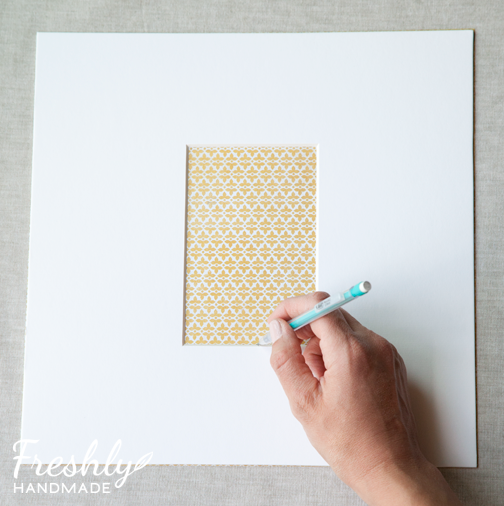 Here, I am using scrapbook paper to dress up a picture frame mat. 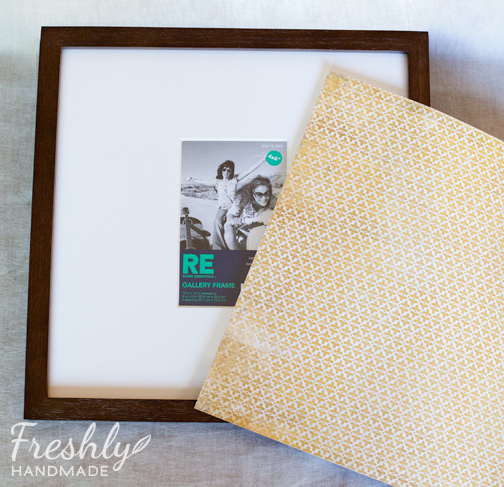 Take the mat out of the frame and place it over the scrapbook paper. With a pencil, mark the opening. 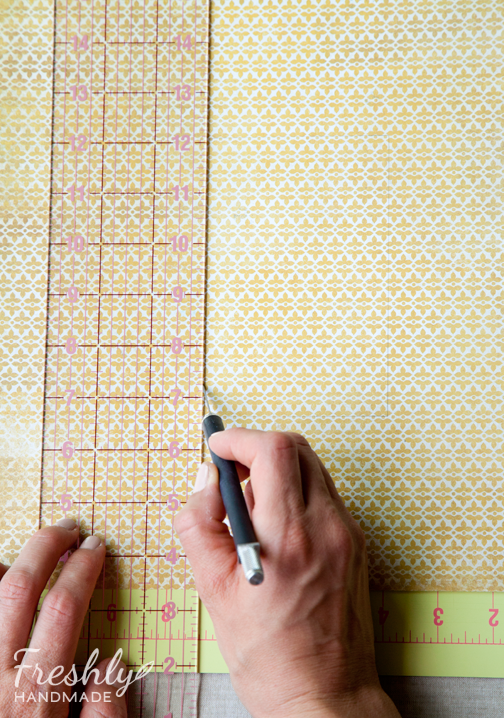 Next, cut out the marked rectangle with either an Xacto knife or small scissors. 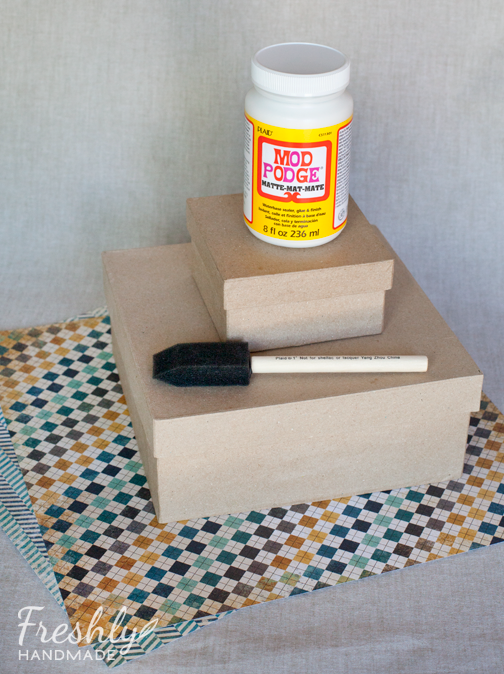 Using double stick tape or Modge Podge, adhere the paper to the mat. 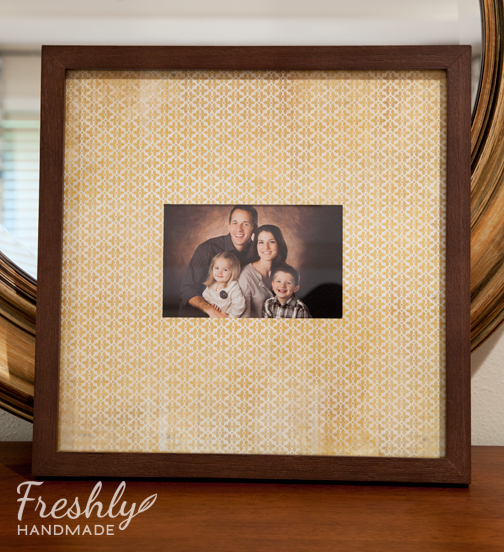 Then, add your photo and reassemble the frame. Easy! 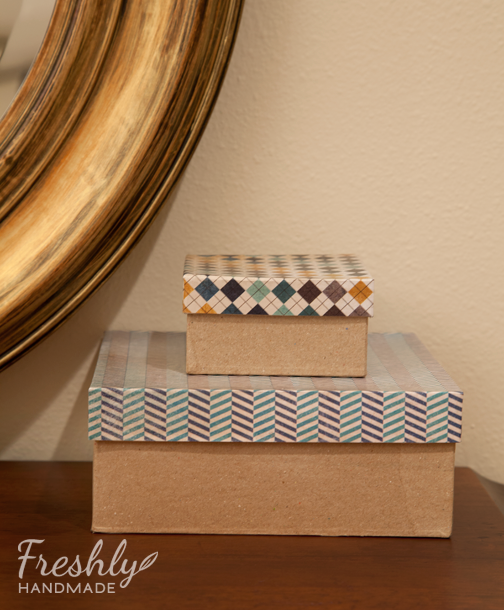 I also used scrapbook paper to dress up some paper boxes that will sit on my husband's dresser for all of his junk -- I mean valuables. 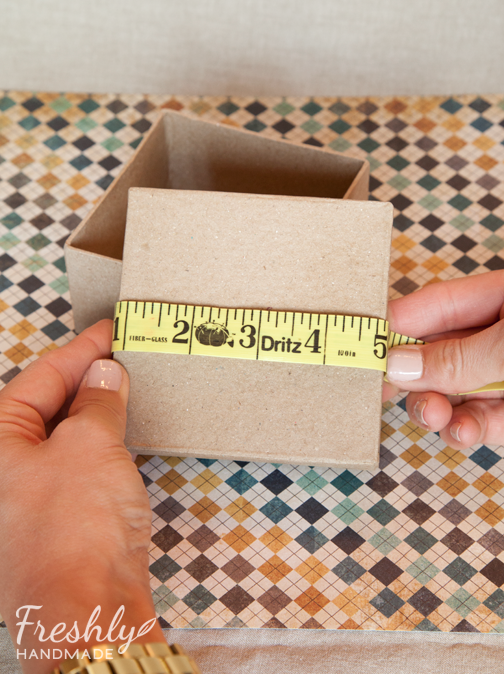 Measure the dimensions of the top and sides of the box top. 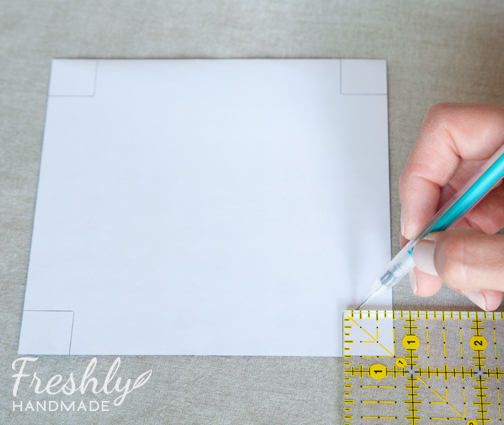 Cut the scrapbook paper using those dimensions. 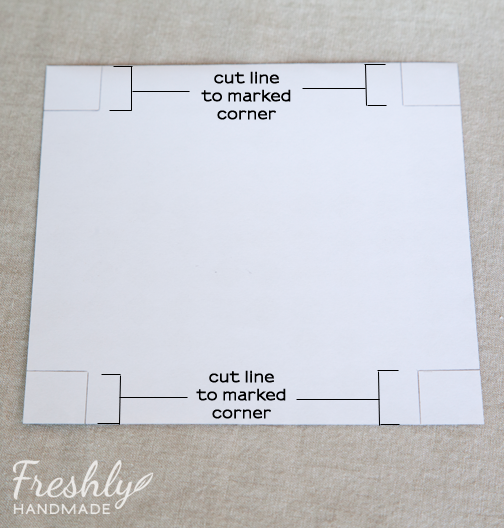 On the wrong side of the paper, mark the corners with the dimension of the box top sides. Mine was 3/4" so I made 3/4" squares at the corners. Cut four slits in the paper as shown below. Line up the box top in the center of the paper and fold the paper around the box top to help lines things up. 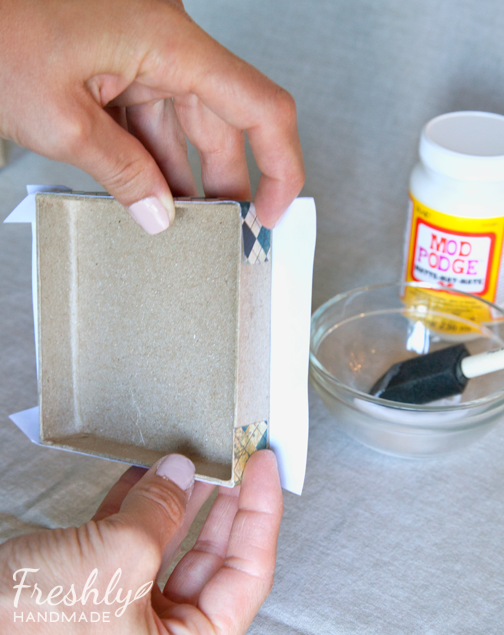 Apply Modge Podge adhesive to the top of the box top and adhere it to the paper. 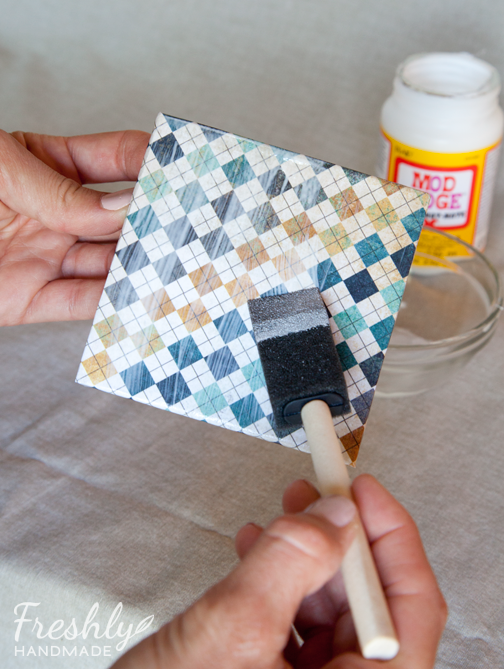 Next, apply a small amount of adhesive to sides and fold in the flaps as shown below. 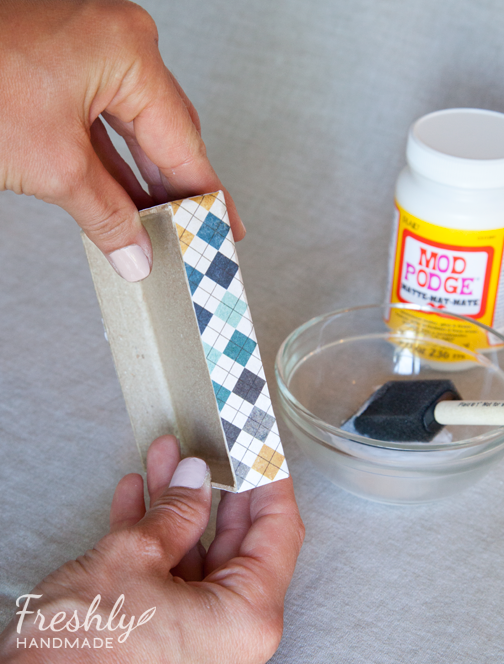 Apply more Modge Podge and adhere the paper to the side over the flaps. 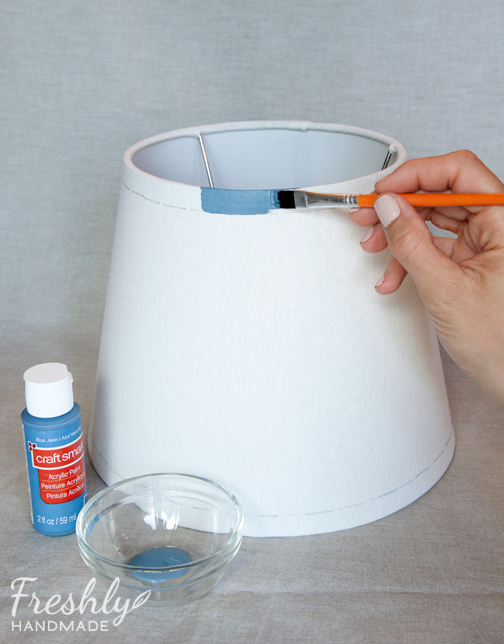 Once all the sides are glued down, give the entire outer top a coat of Modge Podge to seal it. It will dry clear. I only decorated the box tops, but you can cover the entire box by following the same steps for the bottom of the box. I'm still working on a number of items to finish up the master bedroom. Today, I'll be working on a few small sewing and quilting projects. I'll share them when I finish.